Denso Steelcoat 100-400 System After the testing was complete these areas were then protected with the Denso Steelcoat 100-400 System. 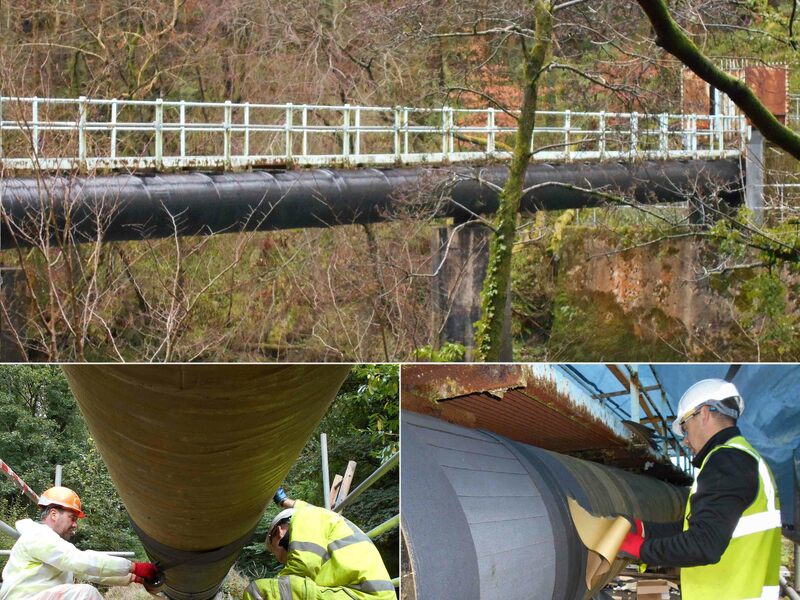 Having examined the system applied to the test areas, Scottish Water then decided that as scaffolding was already in place they would take the opportunity to wrap the whole section of pipe which crossed the River Ayr. Denso Steelcoat 100-400 System consists of Denso Hi-Tack Primer, Denso Profiling Mastic, Denso Hi-Tack Tape, Denso Ultraseal Tape and Denso Acrylic Topcoat. It is designed to provide long term corrosion protection with minimal surface preparation therefore making it ideal for use in remote areas where prevention of contamination to the surrounding environment is important.